Are you confident that you are on the road to financial security? 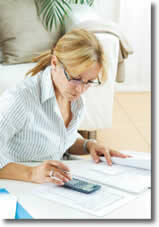 Are you uncertain about your financial future? Do you have clear financial goals? Are you saving enough money and investing it in the right places? Will you be able to send your children or grandchildren to college? Will you have the resources for a comfortable retirement? Replace today's uncertainty and frustration with financial clarity and peace of mind. 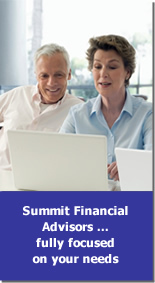 Summit Financial Advisors, LLC, offers unbiased financial planning and investment advice you can trust.